For Sale: Vacation Property For The Large Group or Family! Blueberry Lake family or group resort! 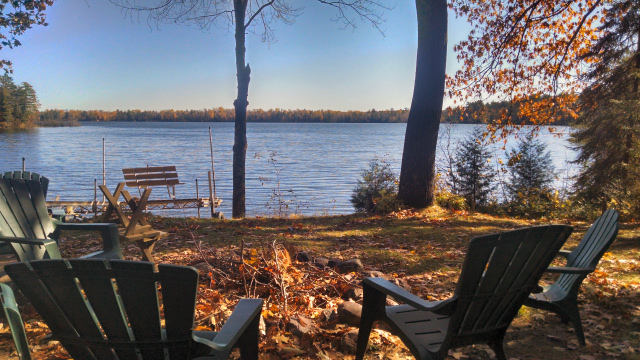 I have the perfect northwoods vacation setting for your large group or family, or multiple families! At 6634N McManus Rd, on Blueberry Lake, southeast of Hayward, I am offering you a property of 4 themed cabins plus an extra 1+ acre lot right across the street. Blueberry Lake has over 280 acres of clear water, and is located southeast of Hayward, just south of the Chippewa Flowage. It is a very pretty lake and has 2 active resorts/restaurants for you to boat to, plus has a nice population of bass and panfish for the anglers in your group. 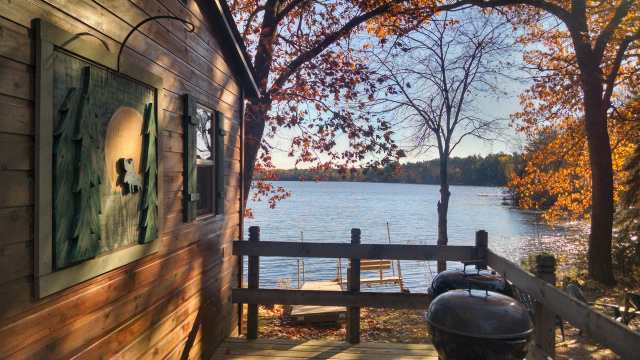 Moose Lodge: 1 bedroom/1 bath lakeside cabin with fantastic lake views. Northwoods walls and ceilings in main living area, parquet wood flooring and carpeting in the livingroom and huge, multi-person bedroom. Screened entry porch and great lakeside deck! 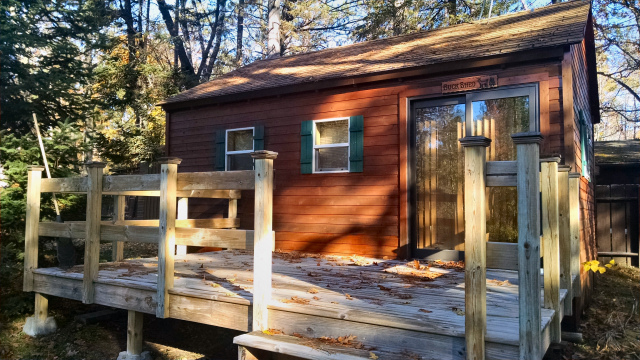 Eagle’s Nest: 1 bedroom/1 bath lakeside cabin, again with fantastic lake views from the enclosed porch/sunroom spanning the width of the cabin. 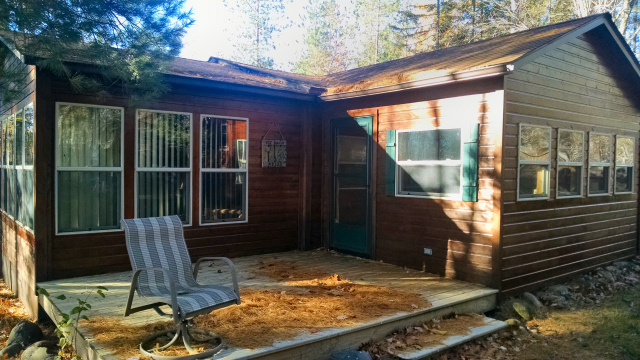 This is the largest cabin and boasts a unique screened side entry porch, large living areas which provide extra sleeping quarters, a beautiful kitchen area, and a northwoods bedroom and bath at the rear of the cabin. 2 wood decks to enjoy the outdoors on. 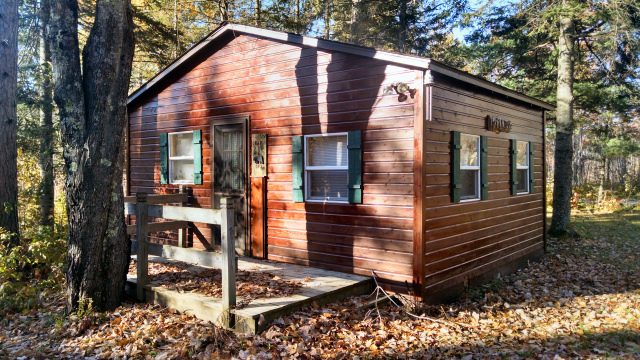 Bear’s Den: 1 bedroom/1 bath cabin located behind the Eagle’s Nest. This is a smaller cabin which has a shower instead of a full bath like the other cabins. 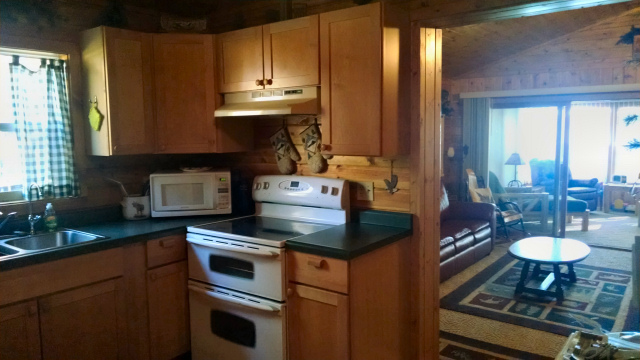 The kitchenette has cabinets, sink and small refrigerator, but no stove. The bedroom sleeps multiple people and is located off to one side. This is the perfect cabin for all those little ‘bears’ who come to visit! 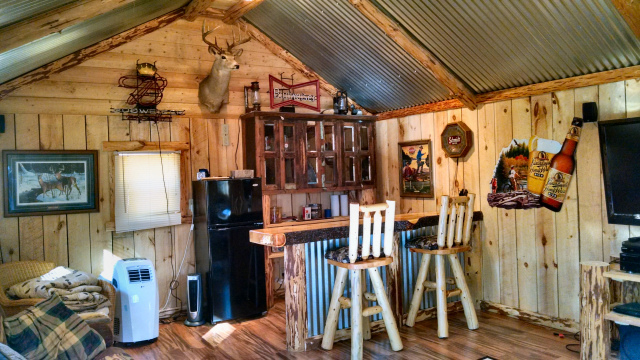 Buck Shed: A recreational cabin set up for overflow sleeping, and a place for your guests to gather! Awesome wood flooring, siding and one-of-a-kind northwoods accents, plus a wood bar and cabinets, TV area, and refrigerator. There is no plumbing or septic to this cabin, just electricity. 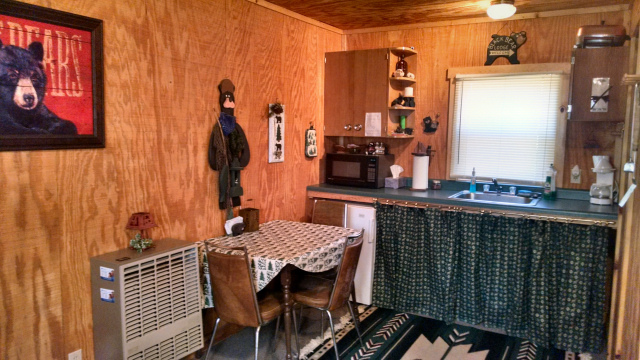 It has a large wood deck and is located behind the Moose Lodge, and next to the large outdoor grilling station. 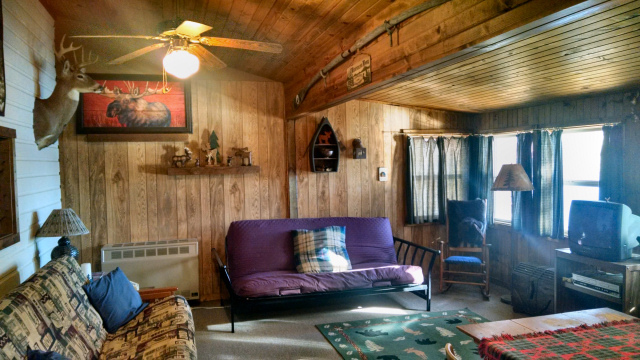 Everything you need for fun is in this cabin! 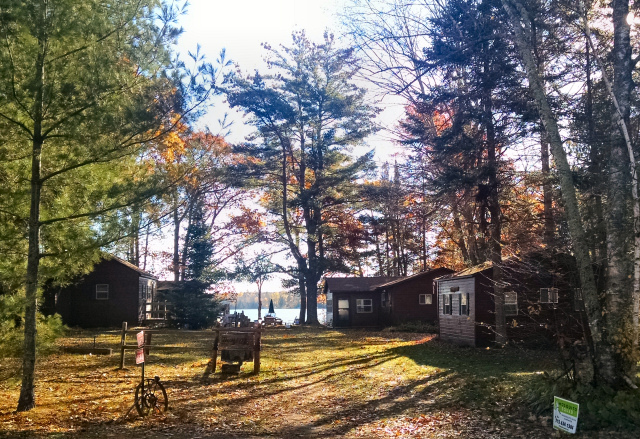 The cabins are on approximately a half-acre lot with 100 feet of low-elevation frontage on Blueberry Lake. The roll-in dock is included. The shoreline offers sandy beach swimming frontage for your family to enjoy and there is a lakeside firepit and fish cleaning house, horseshoe pit and plenty of greenspace to relax and enjoy. In addition to the cabins, the seller is including a 1.07 level lot right across the street from these cabins. 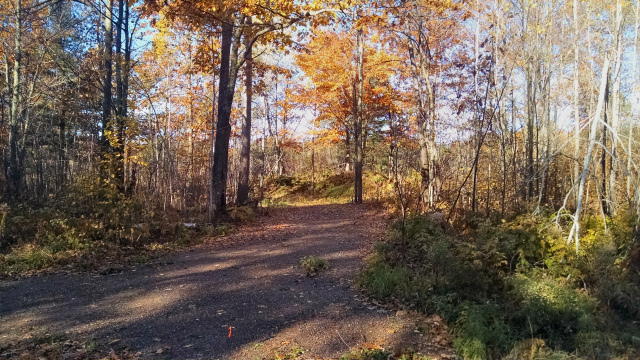 This lot has been surveyed, has the driveway in, and has been perc’d for a conventional septic – build your 4-season home here and enjoy this family compound year round! Snowmobile and ATV trails are throughout the area. Perhaps you will consider renting out the cabins for additional income while you oversee from your home across the street. Great set up for multiple families to go in on together-this property has many possibilities! Call me today for your personal tour of this exceptional property! Pricing, availability and information can change without notice, always check with me for up to date information on this or any listing I post here. This entry was posted in Cabins For Sale Hayward, FEATURED PROPERTIES, waterfront cabins and tagged 6634 McManus Dr blueberry lake for sale, area north realty, blueberry lake hayward wi, blueberry lake resort for sale, building lot blueberry lake hayward wi, cabin for sale hayward, cabins for sale blueberry lake hayward wi, cabins for sale for large group, cabins for sale hayward wi, cathy lareau realtor, fishing cabin for sale hayward wi, Hayward WI, large lake cabins for sale hayward wi, resorts for sale hayward wi, resorts on blueberry lake, wooded land for sale hayward wi. Bookmark the permalink. 1 Response to For Sale: Vacation Property For The Large Group or Family! 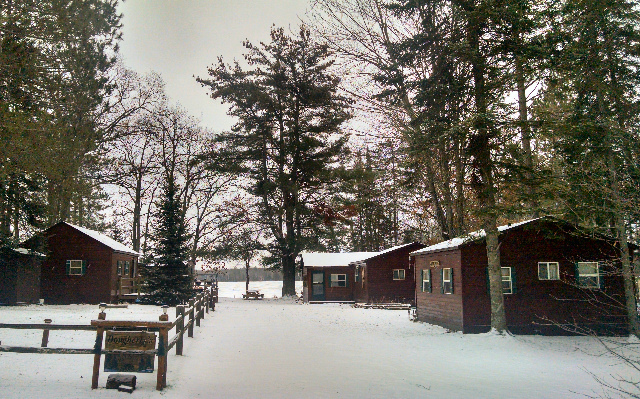 Added a winter picture of this exceptional multi-cabin property for sale on Blueberry Lake! Take a look!